Mildred Clingerman – The Future is Female! Mildred Clingerman (March 14, 1918–February 26, 1997) was born Mildred McElroy in Allen, Oklahoma, the first of two daughters of Arthur McElroy, a railroad construction superintendent, and Meda (Bush) McElroy, who worked for a mining company boarding house; her parents divorced in 1925. Raised in Iowa, Missouri, California, Texas, and New Mexico, she moved to Arizona with her mother and sister in 1929, attending Tucson High School. 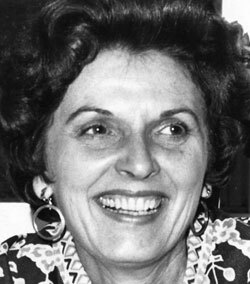 She married Stuart Clingerman, a wholesale milkman and later construction project manager, in 1937, and had a son and daughter in 1940 and 1942, attending the University of Arizona in 1941. During World War II, while her husband served as an Army paratrooper, she worked at a Tucson flight training school. In subsequent decades she was active in the Tucson Writer’s Club and the Tucson Press Club. 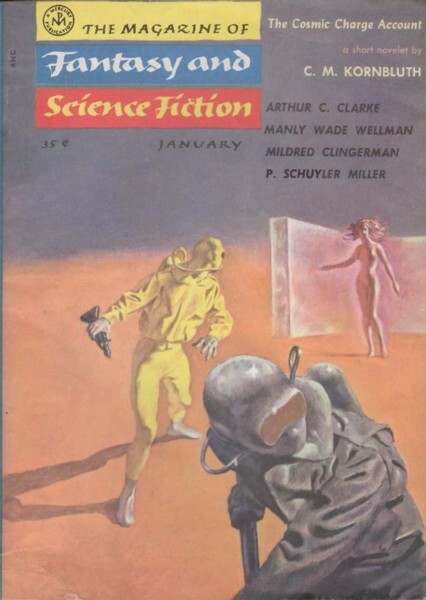 Clingerman noted late in her career that she had “firmly kept [her] writing life secondary to other joys,” calling it “an avocation,” but she was relatively productive, publishing almost two dozen works of speculative short fiction from 1952 to 1975, most in The Magazine of Fantasy and Science Fiction. In 1958, Anthony Boucher dedicated the seventh volume of The Year’s Best from Fantasy and Science Fiction to her, calling Clingerman “the most serendipitous of discoveries.” She also published speculative fiction in mainstream magazines including Collier’s and Woman’s Home Companion and at least one in a local paper, the Arizona Daily Star; additionally she contributed nongenre fiction to the Philadelphia Inquirer and Good Housekeeping. A collection of her stories, A Cupful of Space, appeared in 1961. Clingerman died of heart failure at seventy-eight, in McKinney, Texas, and received a posthumous Cordwainer Smith Rediscovery Award in 2014. The Clingerman Files: Collected Works, containing previously uncollected and unpublished stories, appeared in 2017.